ACT ONE Scene 1 It’s Saturday evening on Catfish Row, a run-down brick building from the colonial era that is now home to poor blacks. A few couples dance to the blues played by bar pianist Jasbo Brown. Clara, wife of the fisherman Jake, sings her baby a lullaby: “Summertime.” Now the scene livens up and the men start to play craps, as they do every Saturday evening. Drug-dealer Sporting Life tries his luck with loaded dice, but the others realize what he’s up to. Clara’s baby starts crying, and now it’s the father that sings to it: “A Woman Is a Sometime Thing.” Porgy, the beggar with the goat cart, joins them, and later the violence-prone Crown with his sweetheart Bess, whom the other women snub. Porgy defends her, which makes the others believe that he feels more for her. But Porgy dismisses their presumptions: “When Gawd make cripple, He mean him to be lonely.” Crown and Bess are drunk, and get some drugs from Sporting Life. During the craps game, the situation escalates: when Robbins wins, Crown hurls himself at him and ends up killing him. Now everyone runs off in all directions, afraid that the police will show up. Crown has to flee, but he threatens to come back for Bess when things have quieted down. For the time being Bess finds shelter at Porgy’s place. Scene 2 A group of mourners sings a spiritual for Robbins, whose corpse is laid out in his wife Serena’s room. To raise money for his burial, a saucer is placed on his chest for donations. Porgy is asking everybody to give, when a detective and a policeman appear (spoken roles). They accuse the old Honey Man Peter of Robbins’s murder and arrest him, They also tell the widow that the body must be buried by tomorrow, otherwise it will be given to medical students. Serena (“My Man’s Gone Now”) begs the undertaker to bury her husband for less money. Bess and the others strike up a gospel song. ACT TWO Scene 1 The day begins quietly in Catfish Row. The fishermen are preparing to take their boats out, despite the imminent September storms (“It take a long pull to get there”). 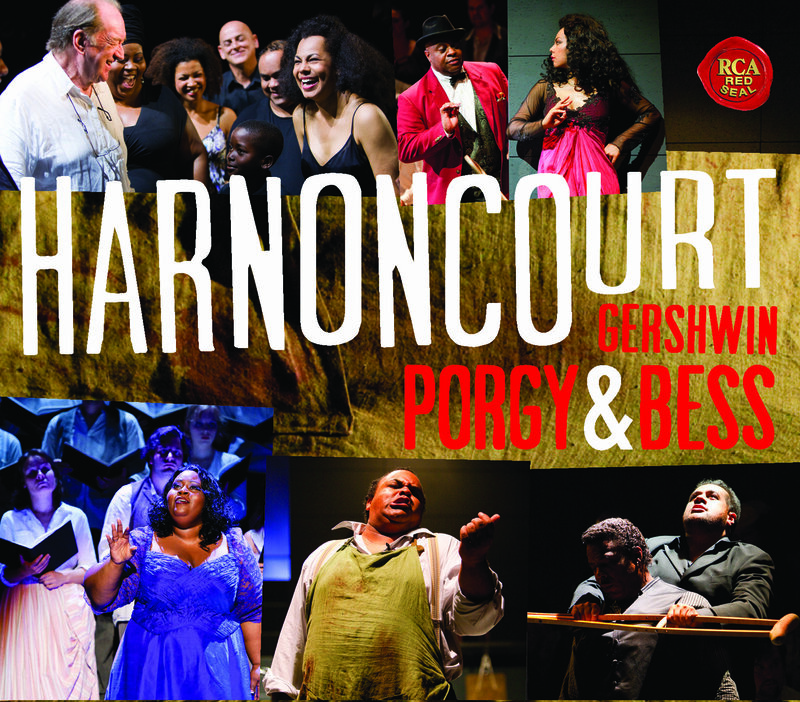 Clara is ill at ease, and Porgy is the only happy person in the group – he sings of his new-found happiness with Bess (“I Got Plenty of Nuttin’”). Maria tells Sporting Life where to get off, and also sends the fraudulent lawyer Frazier packing. Porgy and Bess sing an amorous duet (“Bess, You Is My Woman Now”) before they set off with the others for the traditional picnic on Kittiwah Island. Scene 2 Boisterous merrymaking on Kittiwah Island. Sporting Life strikes up a blasphemous song (“It Ain’t Necessarily So”). As the women are preparing to get back into the boat, Crown emerges from the bushes and starts an argument with Bess. She rejects his advances (“What You Want wid Bess?”) and makes to return to the boat (“Take yo’ hands off me”), but then he drags her off into the woods. The old attraction is still there (“I know you ain’ change”). Scene 3 The new day begins with the sound of bells. The fishermen get ready to push out their boats and a strawberry woman appears on the scene, but Porgy only has eyes for Bess. She has returned sick from Kittiwah Island, and Porgy thinks he knows what happened there. He prays that she’ll get better again, and she has indeed recovered a little, but she is plagued by pangs of conscience and by her fear of Crown. She fervently insists that she wants to stay with Porgy (“I wants to stay here, but I ain’t worthy”), and the two of them sing their final love duet (“I Loves You, Porgy”). Clara voices her anxiety for the fishermen out at sea as the warning bell for an approaching hurricane starts to ring. Scene 4 The storm rages outside, and “a night of nameless dread overcomes the inhabitants of Catfish Row” (DuBose Heyward). The people huddle together in a single room and chant spirituals. In their midst, Clara tries to calm her baby with the old lullaby (second verse of “Summertime”). But the howling of the storm drowns out their singing, and they begin to cry out in fear. Amidst the turmoil, Crown suddenly appears and takes hold of Bess. Porgy tries to defend her, but Crown hurls him to the ground and mocks him. As the hurricane gathers force, Clara presses her baby into Bess’s hands and rushes out. Crown follows in her wake to save her, and everyone prays for those caught in the storm (“Oh, Doctor Jesus”). ACT THREE Scene 1 Dusktime in Catfish Row the next night. A group of women mourn Clara and Jake, who both died in the storm. Sporting Life makes fun of them. Bess appears with the now orphaned baby and sings it to sleep with a reprise of “Summertime.” The scene seems peaceful, but then we see Crown climbing into Porgy’s room to get Bess. A hand holding a knife appears in the dark and stabs him to death. The triumphant Porgy appears and declares, “Bess, you got a man now, you got Porgy!” Scene 2 A detective and a coroner (spoken parts) are investigating the murder. They take Porgy with them to identify the body, but he refuses to look the dead Crown in the face. While they drag the panic-stricken Porgy off, Sporting Life makes advances to Bess. He entices her for so long with drugs and the prospect of a new life in New York that she finally gives in (“There’s a boat dat’s leavin’ soon for New York”). Scene 3 A week later, Porgy returns home full of confidence. Having refused to look the corpse in the face, he was sentenced to a week in jail for contempt of court. Now he’s looking forward to his reunion with Bess. Only gradually does he notice that Bess has left him: she has gone to New York with Sporting Life. Porgy decides to follow her, and departs from Catfish Row in a mood of triumph (“Oh Lawd, I’m on my way to a Heavenly Land”). This amazing document, recorded at the Styriarte Festival in Graz, Austria in June and July, 2009, and conducted by the renowned Nikolaus Harnoncourt, reestablishes Gershwin’s masterpiece as the great American folk opera it was meant to be in the first place – the “American Wozzeck.” . With New Zealand star Jonathan Lemalu as Porgy, Isabelle Kabatu as Bess, and Gregg Baker – who sang the role at the Met in 1985 and at the Glyndebourne Festival in 1986 – as Crown, the performance emphasizes the work’s enormous theatrical and musical qualities, gives it the importance it always deserved, and sets it squarely alongside the greatest pieces ever created for the concert hall.